When drawing with any tool that has pressure sensitivity, the strokes are leaving a full pressure dab at the end of the stroke. At first appears to happen randomly but it seems to be tied to the speed of the stroke being drawn as well as the stabilization feature. When you set the stabilization to level 3 (third dot) every line finishes with a full pressure dab when drawing "fast". But if you draw rather slow this does not happen. 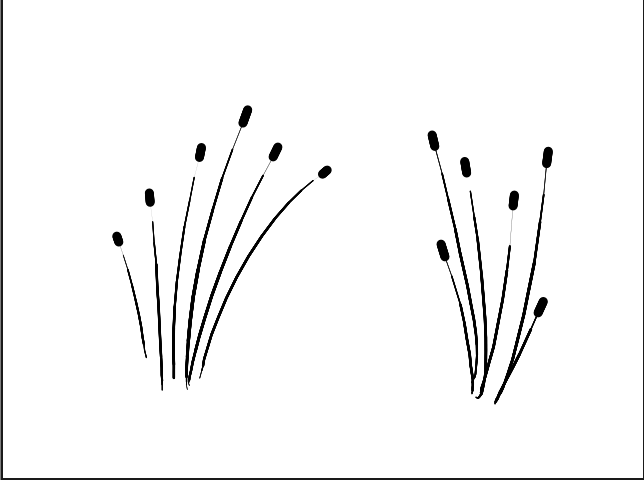 Drawing and making strokes at a fast speed should not prove visual artifacts. Draw fast, as if you were sketching on paper. I can't reproduce the dabbing with the Pencil tool if pressure is on, it does happen when it is off though and indeed there is still pressure too even though it's off. It happens no matter what with the pen... strange. This bug is back in November 13th 2018 build. The repro steps are the same (even changing the stabilizer). The computer & tablet specs are the same. This wasn't happening in October 14th 2018 build. Almost certainly reintroduced from #1059.
fn: setCurrentTool  call: setCursor() current tool "Eyedropper"
fn: setCurrentTool  call: setCursor() current tool "Pencil"
Our current theory is that the issue is caused by the mouse events which definitely should not be there. This behavior is consistent with this bug reported to Qt. This appears to be Windows 7 specific and fixed in Qt 5.12 which will be released in a few days. If that fails to fix the issue we will have to look into other options. These including ignoring mouse events if the tablet is active/just completed, or setting Qt::AA_SynthesizeMouseForUnhandledTabletEvents to false. Will be working on this issue in the next few days. @chchwy @CandyFace Ok I was testing some quick drawing and overall I think #1155 improved the drawing feel by a lot. I incidentally found a minor issue when double clicking / tapping and moving but I don't see it as a critical issue since it is very hard to get by, but just wanted to let you know. The issue at hand doesn't create a stroke like before but it does create a single dot with the last recorded alpha pressure. To reproduce it you have to explicitly double tap / click with the stylus a lot, it also has to be done super fast (~100ms? ), almost as if you were trying to do some kind of "pointillism".